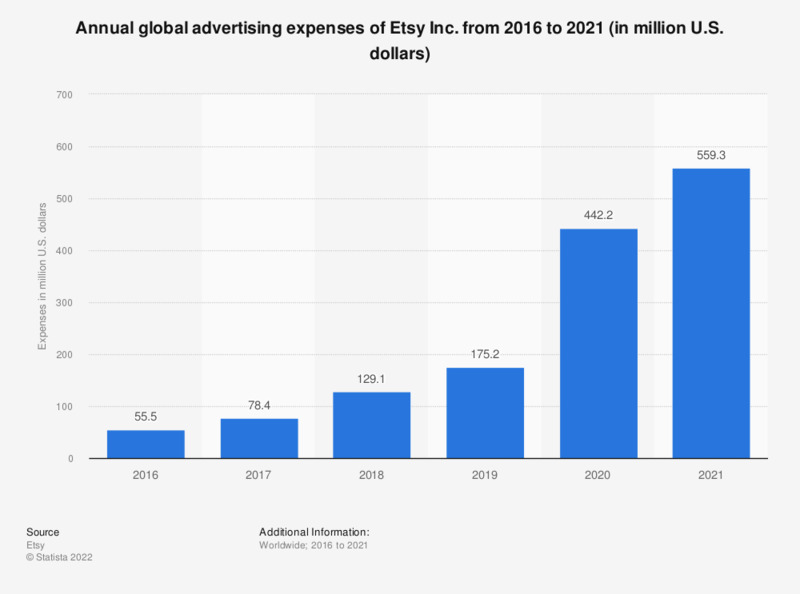 This statistic presents Etsy's annual advertising expense from 2016 to 2018. In the last reported year, the online marketplace invested 129.1 million U.S. dollars in its advertising activities. Has any interaction you have had with your favorite brand on social media driven you to buy more?